Eyebrows were raised in the sporting world last week following the announcement that former Newcastle United and France player David Ginola was to run for the presidency of FIFA and challenge Sepp Blatter’s 17 year hold over the sporting body. The body has been besieged by negative headlines in the past year concerning the decision to award the World Cup of 2022 to Qatar. However Blatter’s reign as head of the organisation seems destined to continue due to the lack of credible candidates to challenge him. Ginola emerged surprisingly as a potentially candidate with his announcement he wanted to run for election, saying ‘we all know that the FIFA system isn’t working’. However, it emerged that the mercurial winger is being paid £250,000 by Paddy Power, drawing accusations that the move is nothing more than a publicity stunt. The bookmaker has been very active on twitter, encouraging people to become part of #TeamGinola. But the seriousness of his attempt has been undermined by those knowledgeable of FIFA’s nomination rules. So how have the public reacted to the campaign? YouGov BrandIndex’s Buzz score measures whether a respondent has heard something positive or negative about the brand in the last 2 weeks. The overall score has decreased from -1.4 at the start of January to -3.1 following the announcement. 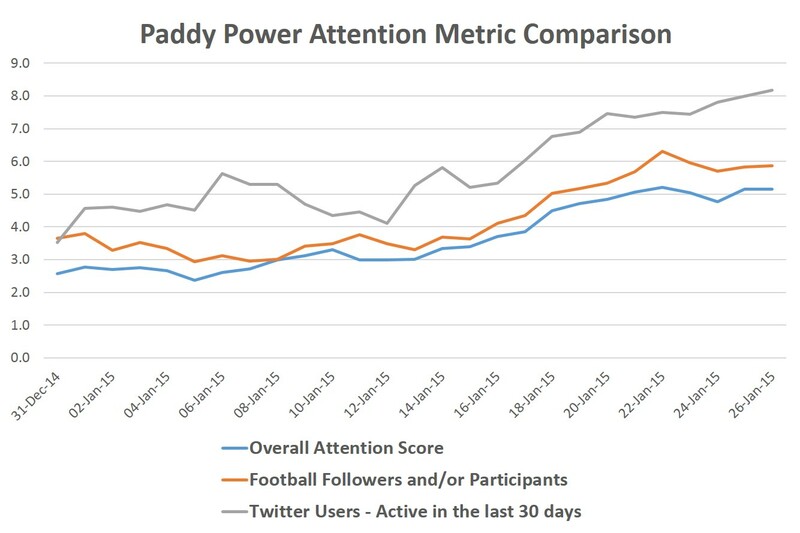 However, more pertinent is the score among those who are football fans & also amongst twitter users. In the former, we see a decrease from -0.9 to a low of -3.6. Considering the latter, the score has fallen from +0.2 to a low of -4.1. The question arises about how much the bookmaker would be perturbed by bad press so long as their brand was front and centre of a potential global story. 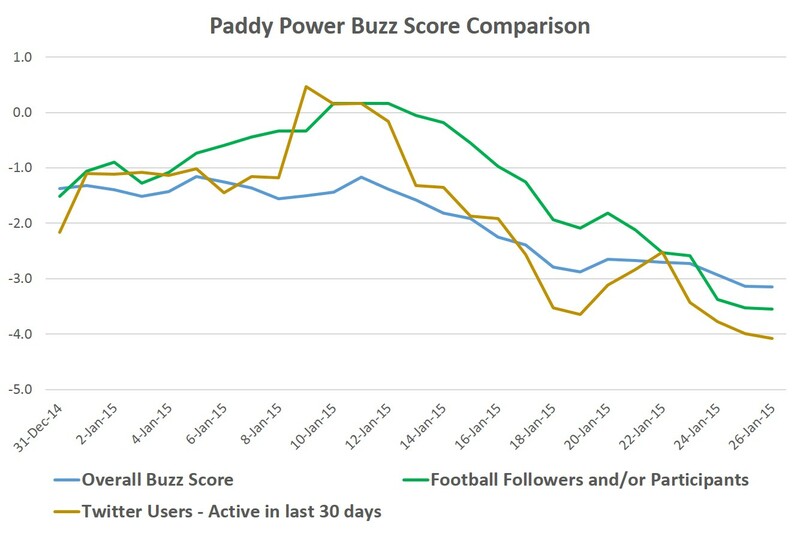 YouGov BrandIndex’s Attention rating indicates how an increased percentage of the public has heard anything about Paddy Power in the last month. The overall Attention score for the company rose from 2.6% to a high of 5.4%. Again when we analyse specific groups we see more pronounced scores. Among football fans, the percentage reached a high of 6.3 over the same period of time. Among Twitter users, we see a high of 8.2%. It’s clear that the announcements concerning Ginola’s decision to run for the presidency has resonated with the public and garnered attention the backer, Paddy Power. However, the bookmaker will have to work to ensure that it is not seen as opportunistic and cynical. It must also be careful of alienating a crucial target demographic, football supporters. The brand is characteristically unpredictable, using different marketing and social media methods to competitors in order to secure their market share, this may need to be tempered to ensure the right decisions are made.